The Instrument amount has increased a lot. 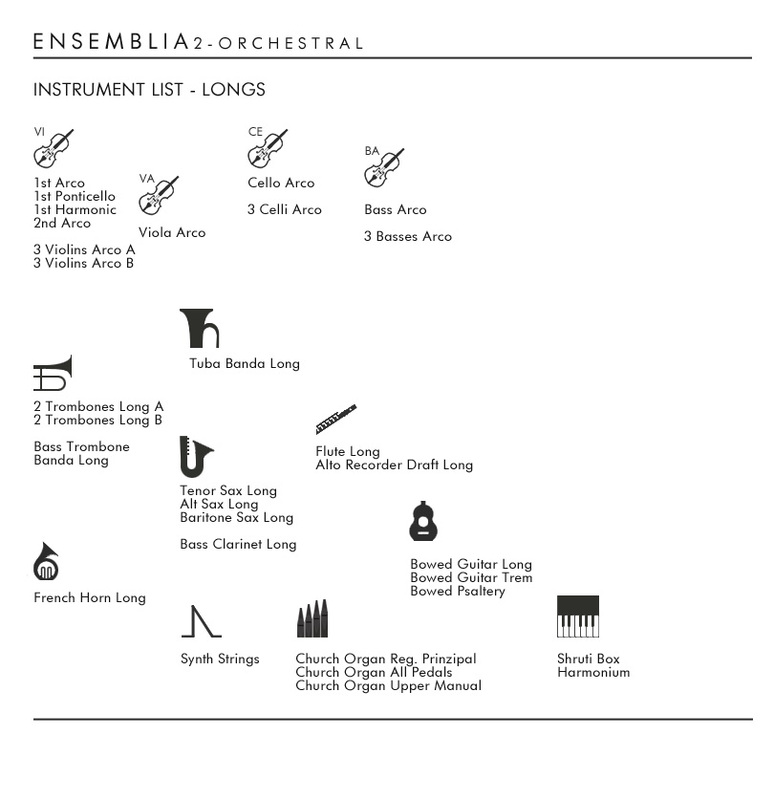 Beside upgrading the string section with triples, Ensemblia 2 Orchestral is packed with many new instruments such as saxophones, bass clarinet, trombones, electric guitar and flutes - but also many instruments of our current shop are included. 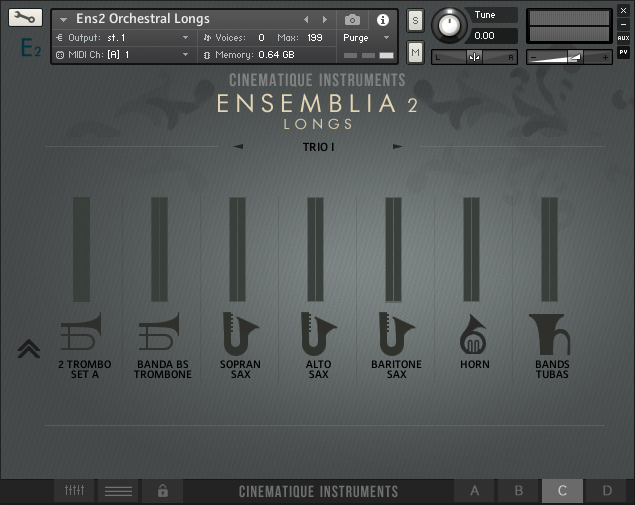 All in all Ensemblia 2 Orchestral now provides more than 80 instruments! (see below). 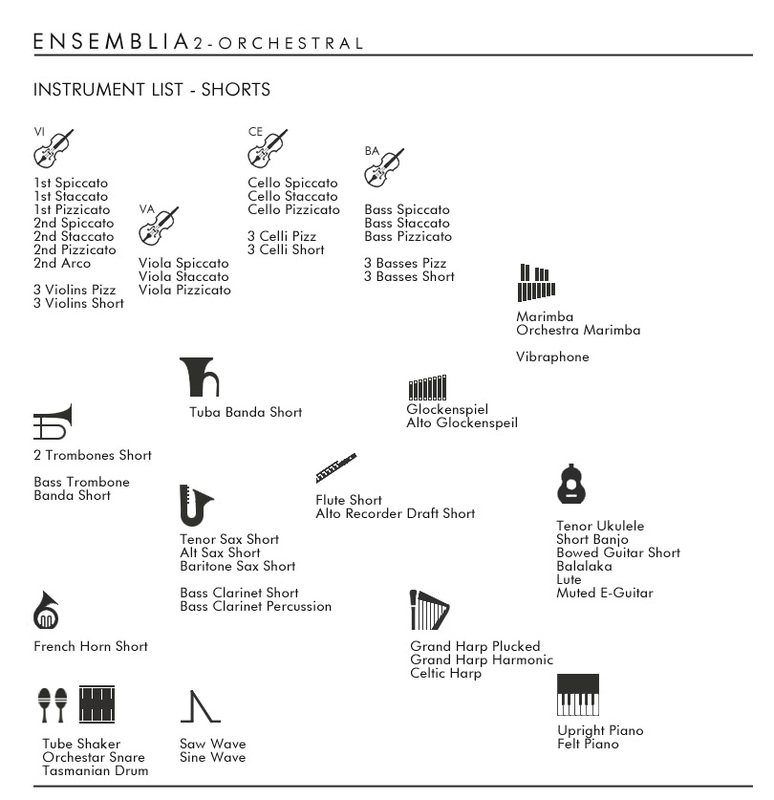 The instruments are well organized available by categories and groups which are displayed dynamically. All the instruments are right at the finger-tips. 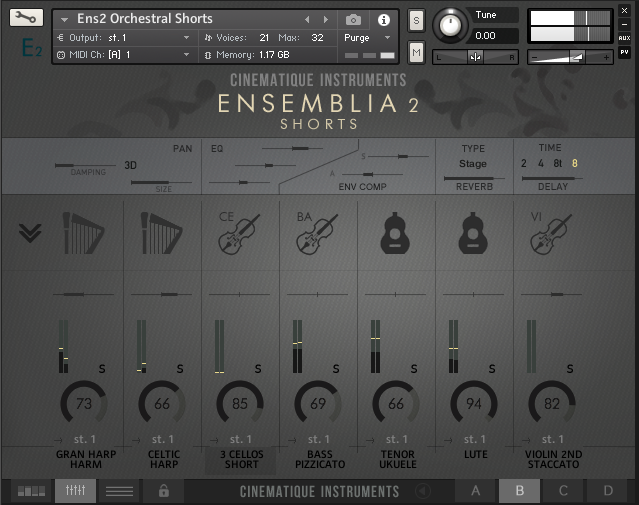 Ensemblia 2 Orchestral is a unique combination of sounds, powerful and creative. This instrument provides intriguing options for colorful layers in many styles of music. It offers a great array of sound possibilities! 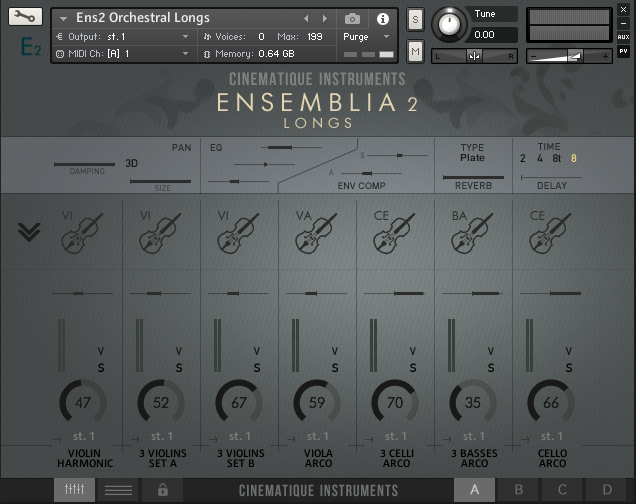 Ensemblia 2 is a fantastic follow up to the original! It features a much richer palette of sounds. The saxophones are an absolute HIGHLIGHT. They are so warm and present and soft. Really stunningly beautiful. - one complex patch with mixer, arranger, file browser, instruments selector as written above. The overall content is apprx 10.000 Samples/ 6GB data rec in 44/24. 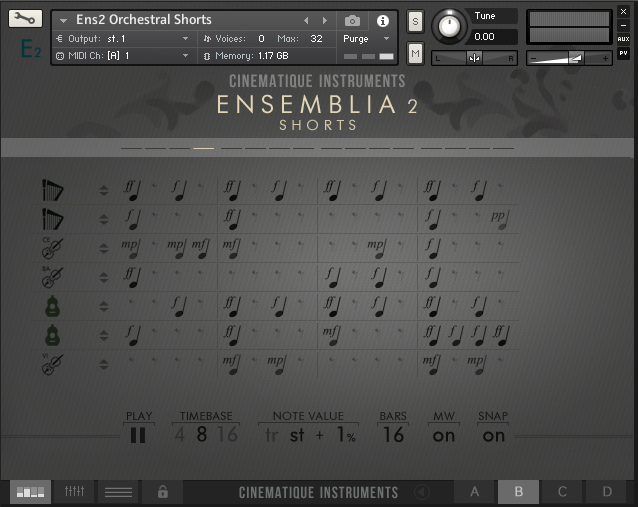 Ensemblia 2 Orchestral - Longs as well as Shorts - requires the FULL VERSION of Kontakt 5.6.8 or higher. 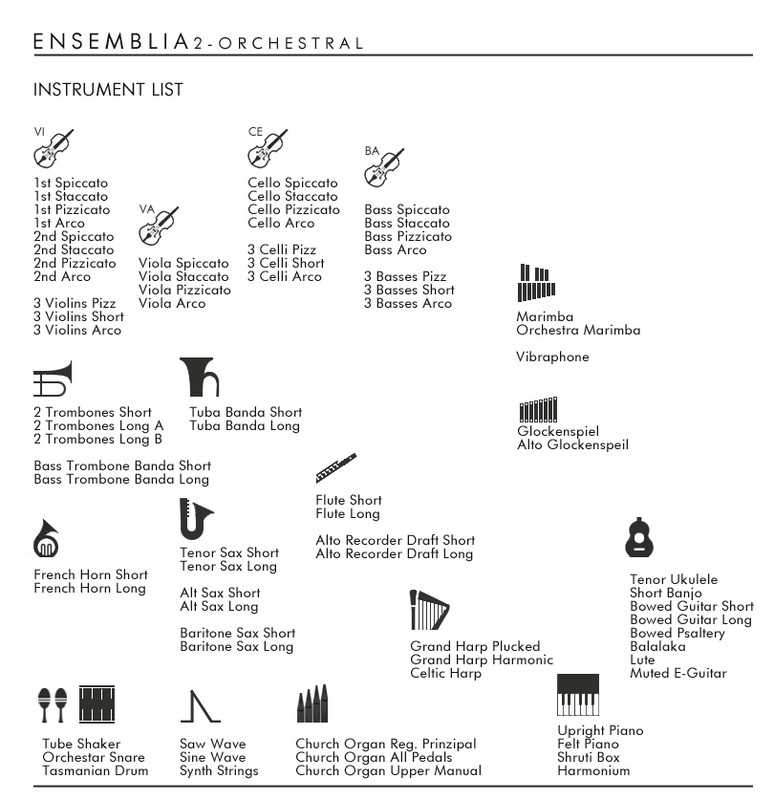 For more details and the full instrument list, please read the manual.